Did you delete your important data from your PC? Sometimes to get rid of viruses full format may be necessary and if you had mistakenly deleted some important files without the backup then you can undelete those files using recovery tools. Simply Install & Run any of these free undelete tools to recover your data. There are numerous recovery tools available which might help to recoup your deleted data from PC and in addition to external drive also. If you have lost your files then you can try to recover the files without software. If you are not able to do this then the final solution is to do this with one of the best file recovery software. You can use free and paid tools as per your necessities. Some paid tools are likewise accessible in FREE Trial which you should attempt at first. As these tools have the high success rate in recovering the critical file types. But, picking a perfect data recovery program is not an easy task. In this article, you will find the rundown of the best utility programming for your data recovery. These tools are easy to use and simple to start with. These professional recovery tools can be used to recover forensic data which are normally used for the legal purpose. The NTFS or FAT HDD (hard disk drive) is easily recoverable in this case. The tools can easily run on Windows 7 & Windows 10 both and many of those can run also in XP, Vista and Linux. Piriform’s Recuva is one of the best file recovery software for the personal use. 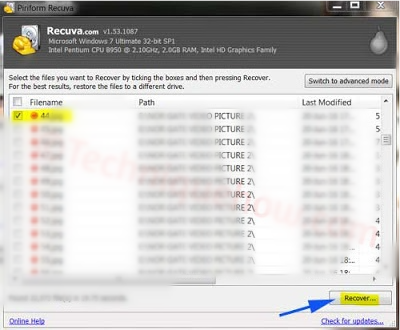 Recuva can recover deleted files from hard drive, Recycle Bin and other Disk Drives on PC. This tools can easily recover image files, videos files, documents and some of the other file formats. Can recover files from a damaged disk drive. Offers deep scan for files. Recuva offers secure overwriting to deletes files that need to be erased forever. EaseUS is a good professional data recovery software to recover the forensic data. This is an eminent utility tool can undelete or restore data that is mistakenly deleted or from a damaged drive. This tool is very safe if you need to restore any photos, videos, or other lost data quickly. Offers Free Trial to find and view any deleted files. Can easily recover all kind of files i.e. compressed files. Works on PCs, Phones, External storage drives, Server, RAID. Performs raw & lost partition recovery. Can export or import scan results. If the system crashes or fails to boot provides a bootable medium (for data recovery). 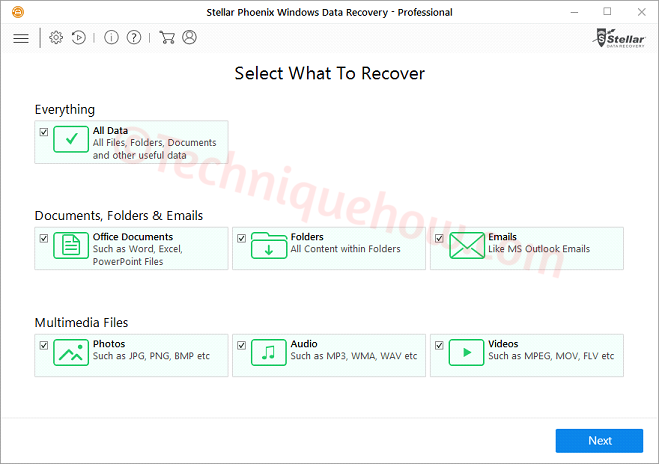 Stellar Phoenix is another recommended best file recovery software for both personal and professional purpose. This tool that provides raw recovery can restore, recover, fix corrupted files from the system. This tool can recover the lost or deleted data in case of virus attack, formatting and corruption. The best part is its easy user interface with all functionality for the novice. So, if you don't have any knowledge of recovery then you can try this as an easy fix to your problem. Recovers all types of files including emails, videos, images & professional documents. Can rescue all deleted data from the hard disk drive, external drive, Memory cards, USB drive, and others. Finds and restore data from inaccessible partitions or volumes of the storage drive. Offers advanced search for badly corrupted drives. Compatible with Windows 10, 8, 7, Vista, & XP. 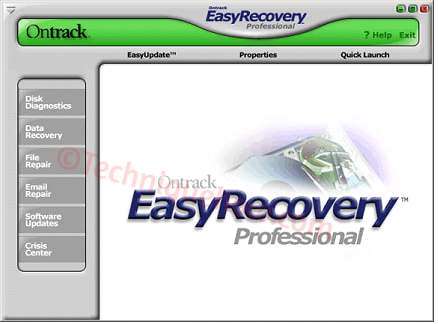 If you are finding easy and quick recovery tool then Ontrack Easy Recovery is the best. This tool comes with easy options which you can operate easily to recover your files. The software can recover files from the damaged hard drive as well. Ontrack offers quick and deep scan including advanced RAID recovery. Recovers data from hard disk and memory cards & flash drive. Deep Scan lists the lost and deleted files. Scan result can be saved and resumed recovery later. Can search specified folder or file format. Recovers FAT, FAT16, FAT32, NTFS HDD types. Allows destination drive to removable drive. Wondershare Data Recovery is one of the best recovery utility tools. Wondershare is a raw data recovery tool that can retrieve the deleted files from inaccessible drives. If you had deleted any kind of files then this tool is able to recover those all. Can easily recover files from the hard disk drive, damaged files due to virus attack and an unsaved file. But, not that much beneficial in other cases. All types of data storage devices. Supports NTFS, FAT32, ExFAT drive system. Can Recovers documents, video, audio and others. Supports lost partition recovery, deleted file recovery and raw recovery. Has the deep scan feature to search the disk. 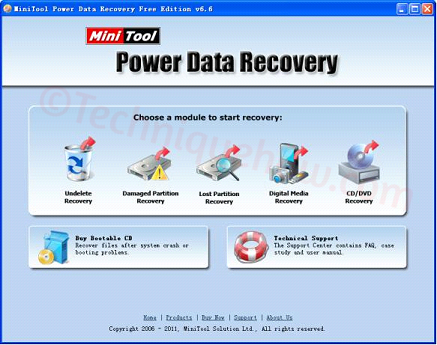 MiniTool Power Data Recovery is an easy-to-use recovery software tool. 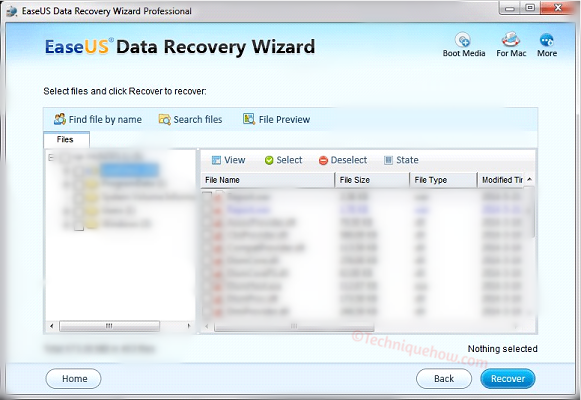 This is an effective & free recovery utility tool for Windows OS to undelete any deleted files. The tools quickly full scan the whole computer to access and find all deleted files. This can undelete files from CD/ DVD drive, damaged partition and recover lost the partition & digital media. Performs recovery of documents, images, videos, email file types. Compatible with Windows 7/8/Vista/XP and Window Server 2012 & 2008. 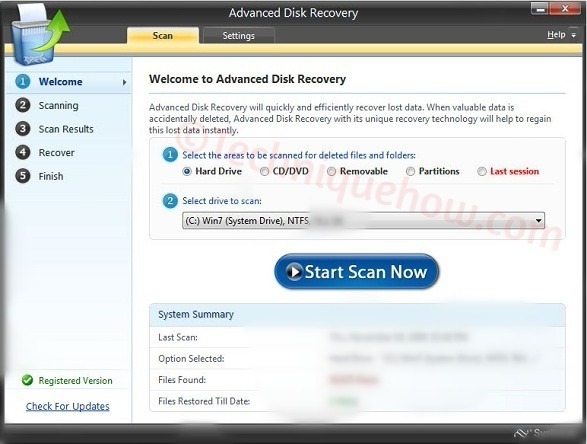 The easiest way to recover a file is provided by Advanced Disk Recovery. This innovative file recovery tool that can recover data from the formatted HDD and can be used to undelete files from all types of storage media. Uses strong data recovery algorithm to recover files. Offers both quick scan & deep scan. Works on all types of files and folders. These listed tools are the best program to recover and undelete any files. However, things depend on your budget and requirement. While Power Data Recovery is a free undelete tool and best if you want to recover for free. Also, Recuva Free Version is very useful in this case. But, free tools have few limitations for recovering some files type. If you need to purchase any tools for the professional purpose, just check out the support system of that company at first. Once you get any money-back guarantee products for the purpose that will be more trustable for your need. So, mainly focus on the budget and features of the software. Although, for professional and forensic recovery reasons purchasing EaseUS or Stellar Phoenix would be the best value for your money.